Sought out bare hills where none had ever trod. The world of happiness and grief has flown." Till you are nothing, but a praising voice. ...Sought out bare hills where none had ever trod. This idea of retreating into the desert or the forest always had a romantic appeal to me, especially in my 20s and 30s. That instinct for renunciation and retreat has an interesting tension. In its best form, it is about seeking the essence of things, learning to recognize the essential self. There is the intense desire -- or need, really -- to clear the mind and settle the heart. 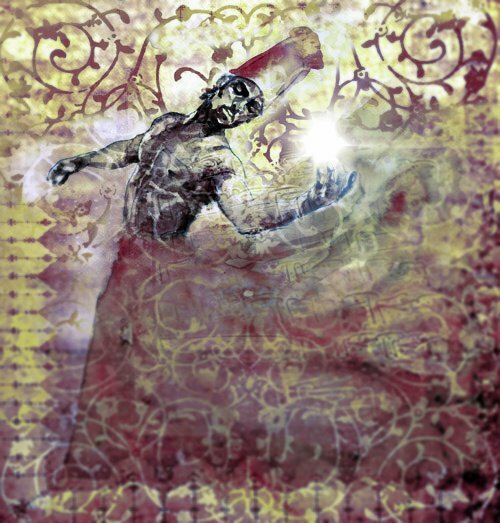 To accomplish this, like the dervish in this poem, we often want to withdraw, retreat from the world. But what is "the world"? We can loosely say that "the world" is society, but that's not it exactly. Really, "the world" we are trying to withdraw from is more of an idea of reality. We are attempting to separate from the consensus trance. This is an important point that we too often forget in our daily lives: Even in our most pragmatic, mundane activity, we are in trance. We don't enter trance in those rarified moments, like the dervish in his ecstasy; we are always in trance. And we are always seeking trance. We humans are trance-seeking creatures. Virtually every choice we make is about cultivating trance. We watch TV and surf the Internet because of the trance it induces. We eat food as much for how it makes us feel as for nourishment. Falling in love is trance. Family conversation is trance. A good day at work is one form of trance, and a bad day is another form of trance. Every action of every day is an attempt to fine tune our mental and emotional states because of how they affect our perception of reality. We are endlessly forming and reforming trance. But the frustrating thing is that we learn early on that there is a very limited range of trance that is acceptable or even considered achievable. We quickly come to believe that this fixed range is the full spectrum of reality. We all subscribe to this in order to be acceptable and considered "normal" within society. And, for the child moving into adolescence, taking on that consensus trance is hugely important, allowing us to stabilize psychologically and form healthy relationships with others. It is also a serious problem, since it has nothing to do with actual limitations of reality or our true nature. It is this shared trance that we call "the world," which seekers instinctively feel the need to withdraw from in order to begin to see clearly, free from the psychic pressures of society to remain within a certain limited bandwidth of awareness. When done with balance, steadiness... and reverence, such withdrawal from the world can lead to surprising clarity, opening, and bliss. But here is the potential problem with all of this: Retreat also necessarily implies separation. We are separating from the world. We are separating from what we imagine to be foolish and lost humanity. In the struggle to free oneself from the gravitational pull of societal reality, it is easy to become rigid, aloof, even hard-hearted. We have divided reality between what is holy or sacred or "true" from the secular, mundane, and "illusory." Such a division, any division, within our view of reality can never hold up for long. It can become a recipe for spiritual disaster. Here is how I understand the solution to this dilemma: That sense of separating oneself, retreating in order to discover an awareness that is pure or more essential -- whether through literal retreat, or on a purely internal level -- can be immensely helpful at certain points along the spiritual journey. But we must always remember that it is a phase of the journey and not the end goal. In other words, we may choose to step out into the desert, but we remain connected to the world through compassion and commitment. We will eventually return to "the world," hopefully with a transformed awareness and very little of the little self left. When we have the vision of the full Reality, we come to recognize that the small section we call "the world" is no longer the world, yet that shadowy thought-reality still has its place within the Whole -- and that is the place that most awaits the gifts we return with.